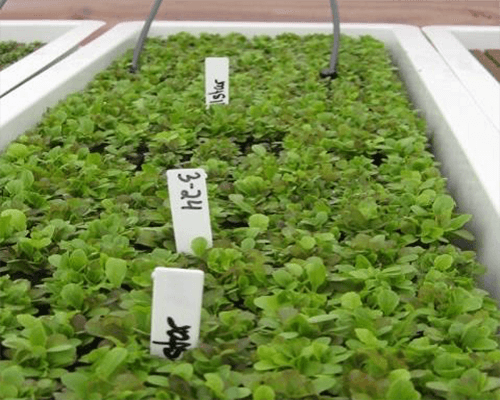 Crop seeds are placed in each of the holes in the Oasis (growing medium) sheets. 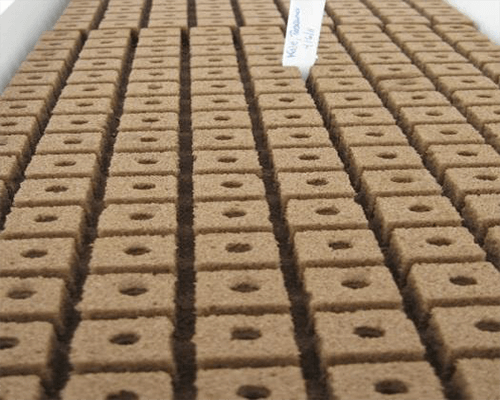 The Oasis propagation cubes are made from water-absorbing foam designed for optimal root formation. 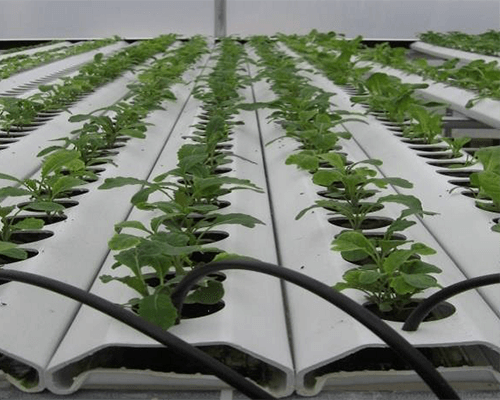 Water and nutrients are circulated through the foam sheets to facilitate plant development. 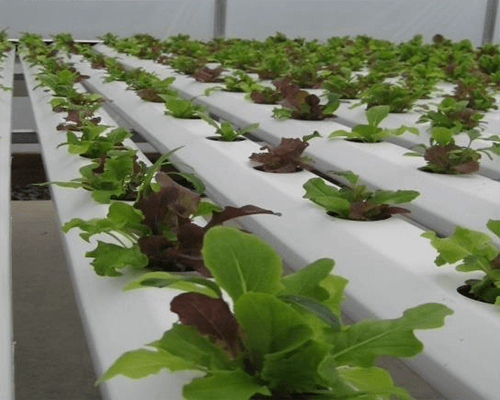 All stages of growth take place in the greenhouse under optimal climate-controlled growing conditions including proper lighting, temperature, and air specifications. 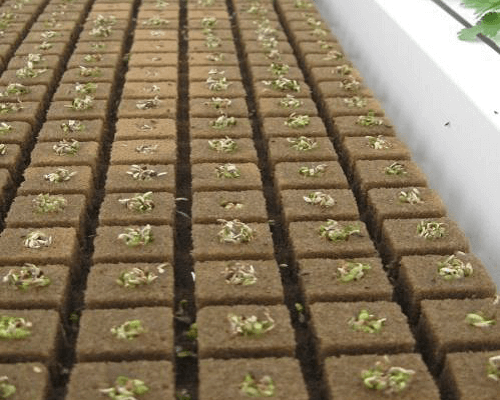 The seedlings are then placed into pre-drilled holes in the nursery gullies. 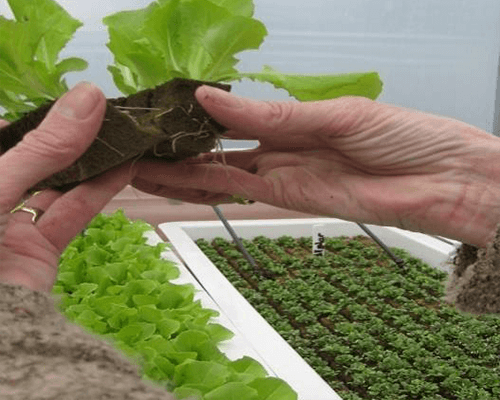 With the help of a small submersible pump and gravity, the nutrient solution and water are constantly re-circulated through the gullies providing more individualized attention to each plant. This helps the plants to further develop for the next stage. 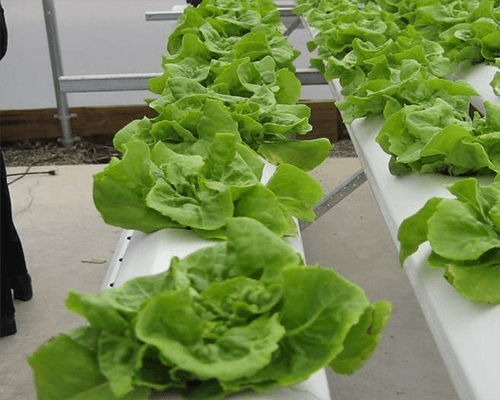 The last step is to harvest the lettuce when it reaches maturity, package it, and prepare it for shipment to customers.